Drivers taking out fully comprehensive car insurance in December are paying £100 more than those who insure just two months later. What does Christmas make you think of? Presents, mulled wine, Big Fat Quiz of the Year and higher insurance premiums. Well, maybe not that last one. But that might just be the case according to new research by MoneySupermarket. According to the price comparison site, December is historically the most expensive time of year for drivers to insure their vehicles. By contrast, February was the cheapest month to purchase car insurance. The average fully comprehensive policy taken out in December 2016 cost £644, whereas those who insured just two months later paid just £544. The findings come from the analysis of seven million car insurance quotes, between January 2015 and October 2017. 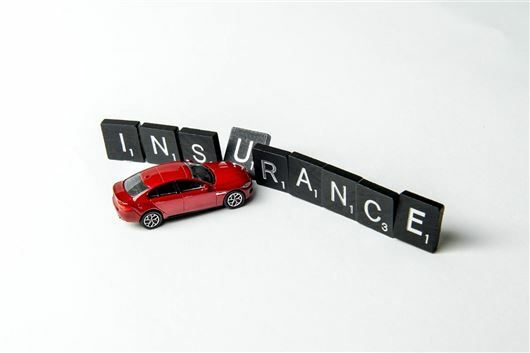 It also shows that, in the past two years, fully comprehensive car insurance premiums have risen significantly. Drivers in Northern Ireland have been hit the hardest, seeing their premiums rise 17 per cent in the past two years. The East Midlands saw a 16 per cent increase, while the majority of UK regions saw increases of up to 10 per cent. Drivers in the North East only saw a one per cent price hike, pushing the cost or a policy up by £5 - which isn't much to moan about (even with the news that Greggs has upped the price of a sausage roll by 5p). Kevin Pratt, consumer affairs expert at MoneySupermarket, said: "Insurers know we're generally busy in the run-up to Christmas, and perhaps more likely to settle for the renewal quote than to shop around for a cheaper deal." MoneySupermarket claims that most people can save £286 by switching insurer at renewal. So it definitely pays to shop around, especially at Chrsitmas. My insurance is due this week, have renewed for a couple of quid less than last years quote which was itself reduced when negotiated. premium essex postcode kia venga 2, 1.4 petrol 2 drivers 1 of whom a Doctor 9 years+ max ncd £183. And the insurers say this is why exactly? Scamming ba*tards the lot of them. I live in Borehamwood Herts, 73 years young, Ford Focus 1.8, 12 years old Hastings want £375, that comp with breakdown etc, its gone up from £323 last year for same cover, no accidents or claims, so yes I would agree that December is not a good month. Saga quote £342 & LV £378 for the same cover..